Jeanette Askins, longtime Palouse resident, passed away early Saturday morning, Sept. 10, 2011, at her home after a strong and courageous battle with cancer. She was 65. 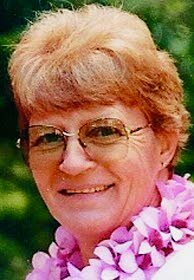 A Memorial Service will be 11 a.m. Saturday, Sept. 17, at the Kamiak Butte County Park which overlooks her farm. Attire will be comfortable/casual (jeans). Viewing will be 9 a.m.-5 p.m. Wednesday and Thursday at Kimball Funeral Home in Pullman. Jeanette will be laid to rest at the Mt. Olivet Cemetery near their farm - a place she has helped care for over the last 30 years. 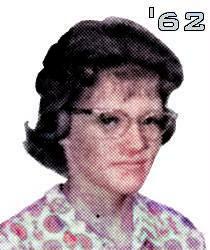 Jeanette was born Sept. 8, 1946, in Moscow, Idaho, to Walker W. and Betty M. (Benjamin) Holder. She was the youngest of their four girls and one boy. She grew up in Moscow and attended school there. While attending a community celebration in Deary, Jeanette met a young man who wanted to dance with her. She quickly said "NO", but it wasn't too long after that he convinced her otherwise and Jeanette married James E. Askins on July 5, 1962, in Coeur d'Alene, Idaho. The young couple settled in Garfield for a couple of years where Jim worked in the pea plant. Their first daughter was born a short time later and in 1964 they moved to Palouse. Two more baby girls would join their family and Jeanette kept busy as a homemaker, wife and mother while Jim was busy working for the Whitman County Road Department. They were members of the Palouse Mud Clutchers jeep club and have many fond memories of jeeping and camping trips in the region. After the three girls had all started school, Jeanette began working at the IGA grocery in Palouse. Once that store closed she went to work at the West Food Store where she was a familiar face for many years. Her family was very important to her and she was a Bluebird and Campfire leader for the girls and later helped construct a float for the Palouse Royalty to use in the Lilac Parade. Following the death of Jim's father, they took over the farming operation at the base of Kamiak Butte. They moved to the ranch in 1992 and Jeanette helped with all facets of the farm. She had "her truck" for use during harvest and until this year no one else had driven "grandma's truck". She planted a huge garden every year and was quick to share her bounty with her family and many neighbors and friends. What she didn't use or give away she canned and there was always plenty. As her children married and grandkids came along she found her true joy. She always had a keen interest in what each one was doing. During a slow period at the farm Jeanette found work in the food prep area at Washington State University for a few years and at the time of her death she had been employed as a custodian in student housing for more than 10 years. Kimball Funeral Home, Pullman, is in charge of the arrangements.